As a food systems lexicon continues to grow across academic, public, and private sectors, the practice of food systems work has taken shape. A focus on how individuals and organizations are doing food system work has developed. By supporting food systems practitioners, The North American Food Systems Network (NAFSN) works to illustrate the true breadth and depth of food systems work, across sectors, within all communities, applicable to everyone who grows, manages, teaches or eats food. NAFSN is a new organization founded in 2015 offering leadership and technical skills training, networking, and other professional development opportunities for the burgeoning group of individuals supporting the development of equitable and sustainable local and regional food systems. Members range from farm educators and community nutritionists to justice activists and scholars. The mission of this network is to coalesce the current disparate group of practitioners, and build individual and collective capacity to solve pressing food and agriculture issues across the U.S. & Canada. So how does that happen from all corners of the United States and Canada? Presently, there are many innovative solutions and pioneering organizations working to address and understand the complex issues of food systems; for example, working to eliminate causes of food deserts, obesity, hunger, and other food-related human health issues as well as working to increase sustainable farming practices, ecological and economic health of farms and rural areas, and creating viable markets. There is a need for a holistic collaboration and coordination between and among these efforts. Leaders are needed to guide and propel projects and insights, and NAFSN aims to provide the tools to build the necessary human capital and create a place for sharing and collective learning. NAFSN expects to see growth of competencies, increased best practices, and more effective targeting of resources as results of its efforts. Currently, NAFSN members are organized around Circles that house work teams. Collaboration, skill and knowledge sharing, and mentorship have driven special projects from certification and training expansion, policy and governance building, and social media and communications development. The Food Well Alliance is an Atlanta-based nonprofit organization formed in partnership with the Atlanta Community Food Bank (ACFB) that connects members of the local food movement around building healthier communities, strengthening the local food system and improving lives. The Alliance amplifies and accelerates metro Atlanta’s local food movement by hosting and organizing events, facilitating working groups and projects, making grants, and providing resources and information to the community at large. Food Well Alliance serves three primary roles: to connect, to promote, and to mobilize. One of its main purposes is to create a space for nonprofits, community organizers, educators, entrepreneurs, and growers to learn about what others are doing around local food in Atlanta and how the community can align its efforts, identify challenges and barriers, and work collaboratively to strengthen the local food system. Food Well Alliance provides opportunity to use the collective impact model to hear the local food community’s voice, cooperatively design a solution or program, and then mobilize the resources and funding to implement those solutions. Young as the Alliance may be, it is deeply rooted in Atlanta’s food system. It’s Advisory Committee includes a veritable who’s who of Atlanta area food systems, including Bill Bolling, Founder and former Executive Director of the Atlanta Community Food Bank, representatives from the Atlanta Botanical Garden, the Atlanta Regional Commission, Captain Planet, Georgia Organics, and many others (for a full list, click here). The Alliance has been working hard to assess the needs of the local food community and recently celebrated its first year with a Healthy Soil Festival. Hundreds of people attended, celebrating efforts to provide greater access to healthy food and learning about the importance of healthy soil – the foundation of a sustainable garden and good food production. The festival was part of the Alliance’s Healthy Soil, Healthy Community initiative – a series of workshops, demonstrations, soil testing, and other activities organized in partnership with numerous community organizations to support the growth of community gardens and raise awareness about the importance of healthy soil and composting. 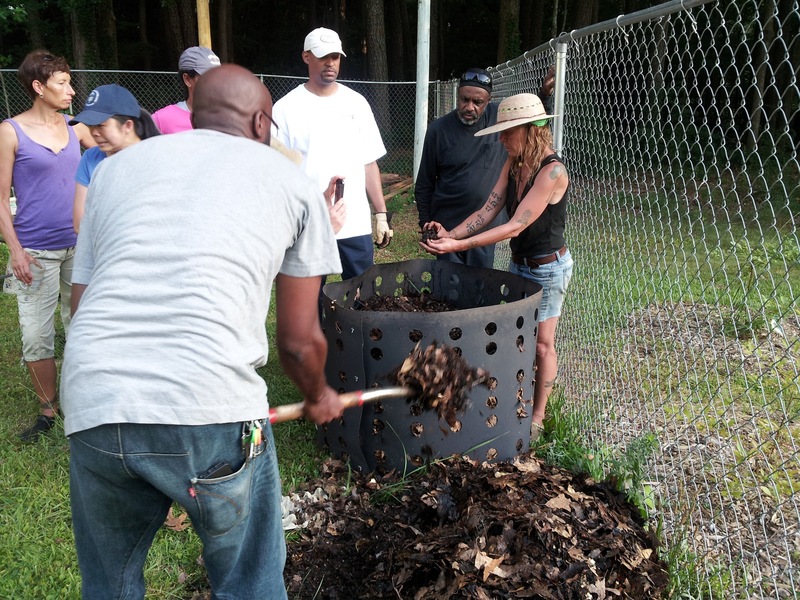 The initiative offered 30 free public workshops across 5 counties of Metro Atlanta to educate gardeners on the elements of living soil and methods to build soil. The partners jointly designed a resource guide for Healthy Soil, provided composting signs and bins, and distributed local compost to over 50 community gardens in the region. Click here for a list of partners. To strengthen and expand the capacity of local food innovators and entrepreneurs, the Food Well Alliance has partnered with Atlanta’s Center for Civic Innovation to create the Food Innovation Network – a formal network of entrepreneurs, educators, and community organizers dedicated to growing and using local food, starting a food business, nutrition and health, and food access. 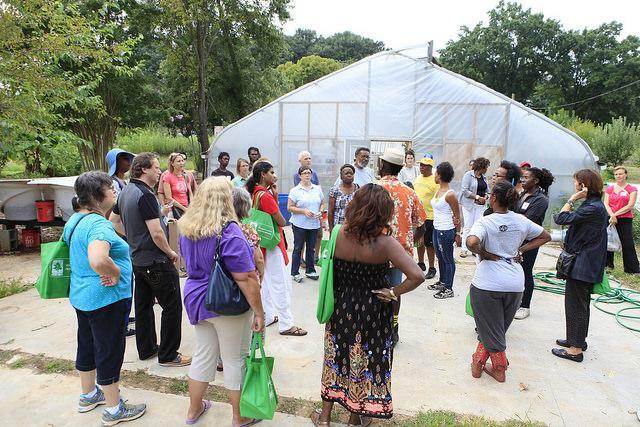 The network offers events, trainings, one-on-one advising, and encourages participants to share resources and ideas to help build a stronger Atlanta food system. Food systems planning will be critical to the success of Food Well Alliance. 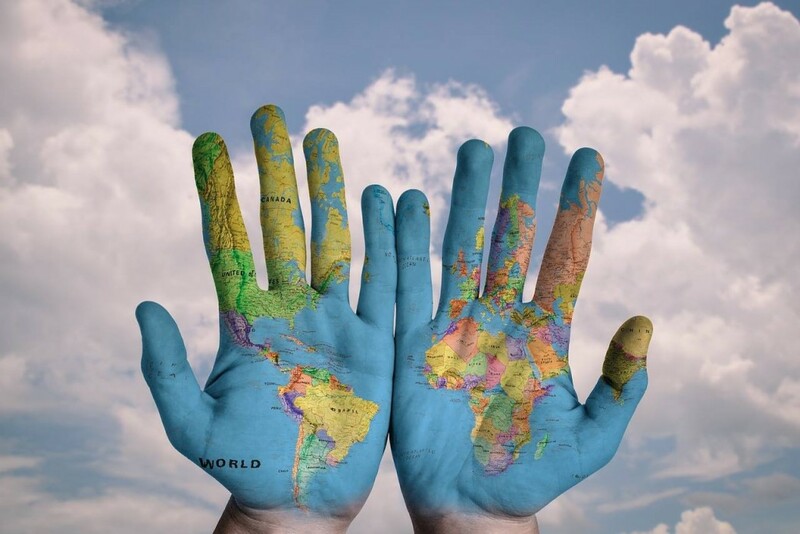 An assessment of the current landscape is needed in order to have baseline data, to evaluate and measure impact, and to create a roadmap for going forward. But first, Food Well Alliance is working to convene all of these organizations and people together to explain how collective impact could work in this context, how it serves their needs, and how to best align efforts to bring greater participation and investment to the local food movement in Atlanta. Throughout the course of its first year, Food Well Alliance discovered a common obstacle to improving food systems: the silo effect. So many people diligently working with local food know that they are part of an interconnected web of educators, producers, consumers, and distributors but they don’t necessarily see it within a local food system framework. But rather than view this as a barrier, the Alliance chose to view this as an opportunity – coming to a common understanding of what the local food system is, why each piece is important, and how they are all needed for the whole to be successful. The Community Gardens working group was the first effort to convene a group around a collective impact approach to assess and prioritize community needs. This group of 7 nonprofit and education leaders shaped the goals and design of the Healthy Soil, Healthy Community Initiative and will do an evaluation of the process and program this winter. Other working groups are currently in development for 2016, based on priorities and challenges identified by the community. To learn more, visit Food Well Alliance or find us on Facebook. Seanna Berry works on research and development at Food Well Alliance and has written on food systems issues nationally and in Atlanta. Prior to earning her graduate degree in City and Regional Planning from Georgia Tech, she worked in community food systems growing, processing, selling, and distributing fresh local food. She sees great opportunities to incorporate agriculture into how we shape our neighborhoods and regions. Erin Thoresen (@ELThoresen) loves food, travel, and thinks a lot about what makes a “good” place. Her work has brought these interests together in food systems planning – helping launch youth-staffed farmers’ markets with Sustainable Long Island and serving on the Suffolk County Food Policy Council. She now works in transportation at Gresham, Smith and Partners in Atlanta and continues her involvement with food systems through APA-FIG. A popular incentive for low-income shoppers at farmers markets is moving into grocery stores. The expansion promises nourishment for both rural and urban areas. Around 5,000 low-income shoppers used the program from June through August in a trial run at four Price Chopper supermarkets in metro Kansas City. They spent nearly $30,000 on produce, mostly from smaller scale farmers in the region. The Double Up Food Bucks retail expansion in Kansas City provides shoppers who use Supplemental Nutrition Assistance Program (SNAP, or food stamp) benefits with a dollar-for-dollar match on their Price Chopper loyalty cards when they buy up to $25 a day of locally produced fruits and vegetables. They can then use the extra money to buy more of any produce, doubling the amount of healthy food they take home. 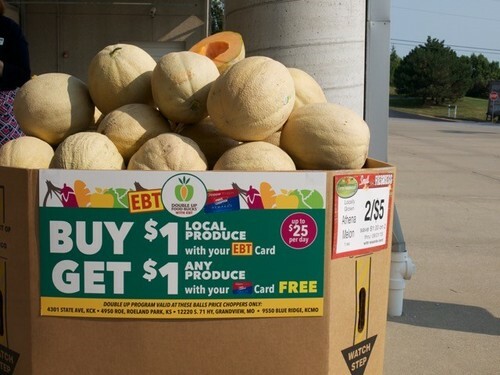 “It fit right in with our loyalty card program,” said Mike Beal, chief operating officer for Balls Food Stores, a regional family-owned chain with 15 Price Chopper and 11 Hen House supermarkets in the Kansas City area. Farmers are also feeling the love. Balls buys from more than 150 farmers through Good Natured Family Farms. The regional marketing cooperative, or food hub, supplies local products for every department, from produce, dairy and meats to honey and other items like jams and pickles. Diana Endicott, president of Good Natured Family Farms, said the group’s produce sales are up 20 to 30 percent at the four Double Up Food Bucks test stores. On World Food Day on October 16th Mayors from 46 cities around the world will sign on to Milan’s Urban Food Policy Pact. Work on the Pact by international experts, the European Union and United Nations began in 2014 to craft the proposal. The pact focuses on equitable and sustainable food systems and includes goals to “develop sustainable dietary guidelines”, “encourage and support social and solidarity economy activities”, “help provide services to food producers in and around cities”, “support short food chains” and “raise awareness of food loss and waste”. Click here to find out more about the pact and which cities will sign on.